As the primary process moves toward a welcome conclusion, the fault lines within the democratic party are now registering on the Richter scale. 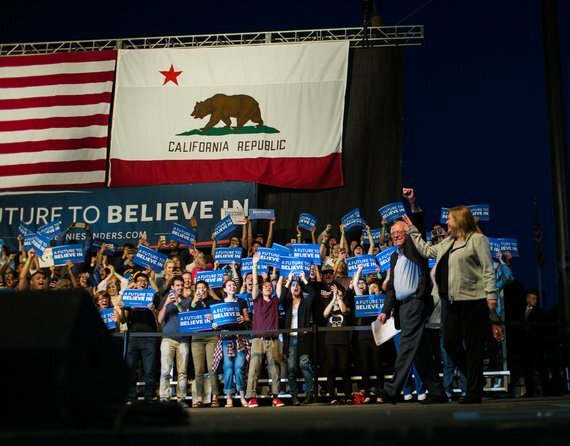 The party leadership which has leaned decisively in the direction of the Clinton campaign finds itself exacerbating the situation and Sanders supporters are feeling increasingly disenfranchised by a process which is, depending on the rules for any given state, uneven and not sufficiently inclusive especially in terms of the large numbers of independent, young and first time voters energized by the Sanders campaign. The critical challenge facing Hillary Clinton and the Democratic party is how to best bring Sanders political revolutionaries into the party going forward. force and highly critical of international trade agreements which have resulted in job loss and disinvestment domestically. Sanders has also been completely transparent and released all of the transcripts of his paid speeches to Wall Street firms (zero). The Clinton campaign has yet to formulate an adequate strategy for addressing these issues to the satisfaction of Sanders and his base. Bernie Sanders has proven to be a game changer and taken firm uncompromising positions on these and other major issues of critical importance and in so doing created a sense of optimism and enthusiastic support for real world lasting solutions to these daunting challenges. He has done this rejecting big money politics and by taking a stand that is fundamentally based on a firm sense of morality - without consideration for funding donors or corporate interests. In other words, a much needed breath of fresh air. The Sanders campaign has engaged millions of passionate Americans in the political process and expanded the liberal base substantially. If Hillary Clinton does eventually become the Democratic nominee as is likely, she will need the support of Bernie Sanders supporters to defeat Donald Trump. It is imperative that the Democratic Party now move towards a truly neutral position as the primary process is completed or risk further alienating Senator Sanders base and consequently increasing the possibility of a Trump Presidency, surely the worst of all possible outcomes.